Sign up for our newsletter at https://Evolvement.io. Evolvement is a podcast hosted by Nye that revolves around Bitcoin, cryptocurrency, blockchain technology, and how these play a role in the current financial models and economic systems of the world. 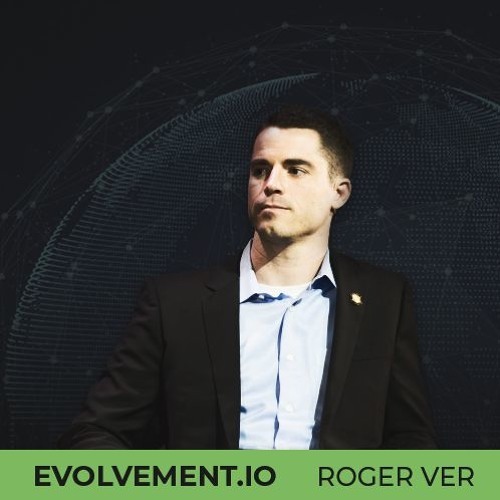 In this episode, I sit down with Roger Ver to discuss the history of Bitcoin. We chat about how he first heard about Bitcoin, what made him get involved, and what inspired him to join Bitcoin Cash. We also discuss his feelings on the lightning network, which are strong, and how he believes that Bitcoin Cash has the advantage. Finally, we talk a bit about the the current state of the industry and whether the IEOs and ICOs are positive/healthy to the space. Thank you to Unification.com and Resistance.io for sponsoring this episode. Timestamps 1:15 - Who are you and how did you first hear about Bitcoin? 2:27 - What was the first thing about Bitcoin that caught your interest? 4:07 - What were the potential faults that you saw in Bitcoin when you first heard about it? 5:50 - Do you feel that Bitcoin can be a store of value? 7:40 - Do you think lightening network is irrelevant? 10:20 - What happened with the Bitcoin Cash fork into Bitcoin SV and Bitcoin ABC? 13:35 - What is the main difference between Bitcoin SV and Bitcoin ABC? 17:04 - Why did you join Bitcoin Cash? 20:40 - What do you think of the current state of the crypto space? 22:15 - How do you feel about the crypto community? How is the community different now?